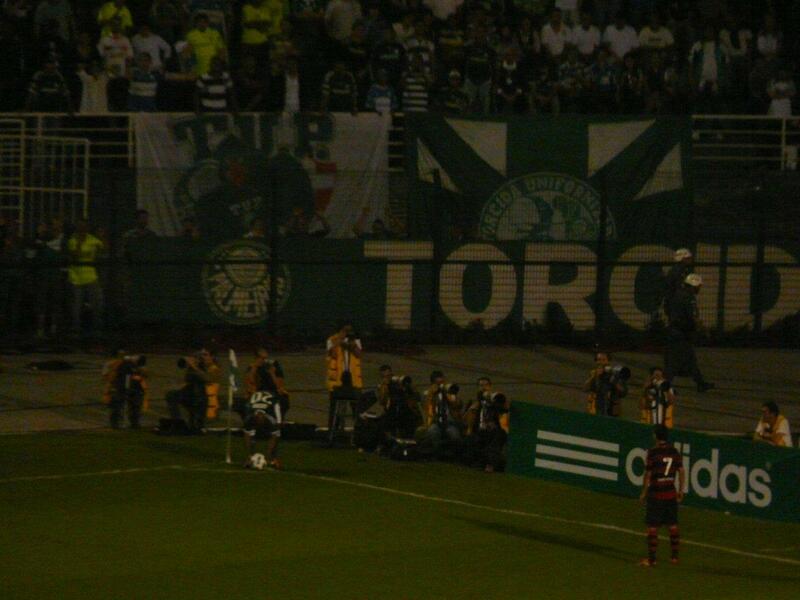 I went down to the Palmeiras vs. Flamengo game on Wednesday night. It had all the ingredients for a great match: fourth against third, a crowd of around 35,000 people (very high by Brazilian standards), two of Brazil’s best coaches going head to head (Luis Felipe Scolari or Big Phil at Palmeiras and Vanderley Luxemburgo at Flamengo) and former world player of the year Ronaldinho on show. Adding further spice to the occasion was Palmeiras striker Kléber reaffirming his commitment to the club after weeks of transfer speculation linking him with Flamengo. 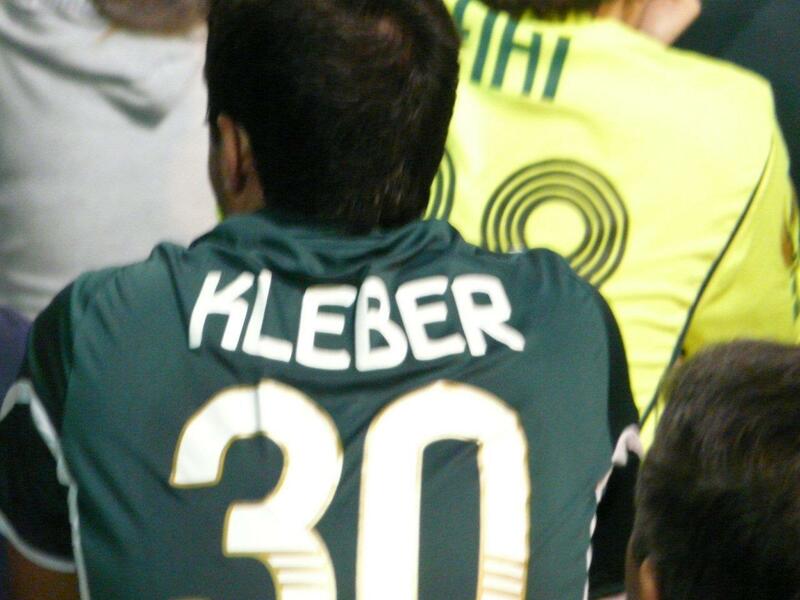 By starting the match against Flamengo, Kléber was making his seventh appearance of the season for Palmeiras. This means that he cannot play for any other Brazilian club in the Championship this year. The player was clearly tempted by the double-your-money salary on offer at Flamengo but after weeks of tantrums and public outbursts (at club directors who he called cowards), he seems to have settled his diferences with the club (i.e. probably got a promise of a pay rise). He was given the captain’s armband on the night as a sign that it was all water under the bridge. Unfortunately, as is so often the case in these big matches, the game never came to life and finished a boring goalless draw. It was clear that both coaches were desperate not to lose but with Corinthians picking up yet ANOTHER win away from home (that’s four out of five), Palmeiras and Flamengo had better start being a little more adventurous if they are to have any chance of winning the title themselves. Ronaldinho still has magic in his boots but sadly is seriously lacking in the pace department. He is not overweight. He just doesn’t have the pace. Don’t ask me why. He can beat a player once or even twice with skill but even then he struggles to really get free of his marker. He started on the left wing but looked more dangerous when he came infield to play as a centre forward in the second half. I think his ideal position now would be as a second striker or central attacking midfielder where pace isn’t that important. Perhaps Vanderley Luxemburgo would agree and that is why he made a bid for Kléber. 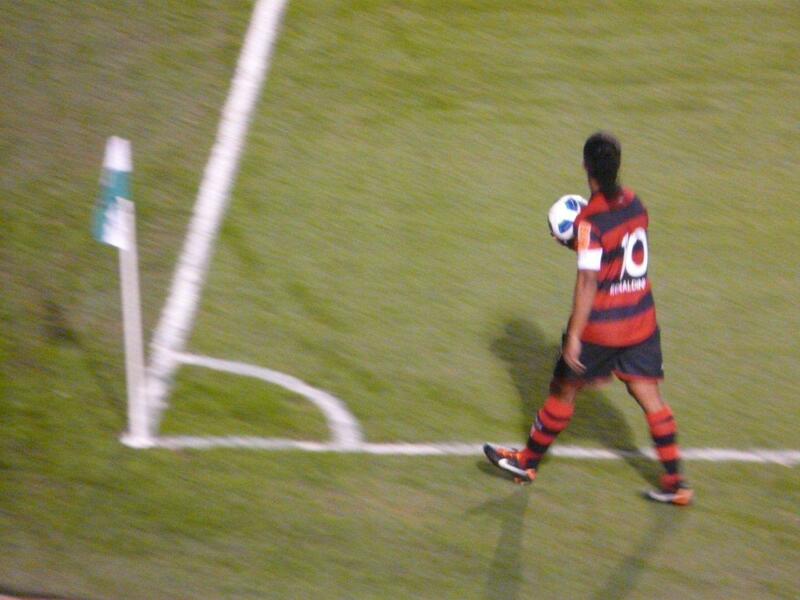 However, Kléber, like Ronaldinho in my opinion, would be better off not leading the line. He is not a clinical finisher and has a tendancy to drift wide, yet lead the line is exactly what he is asked to do at Palmeiras. He is a fans favourite because of his nothing-is-a-lost-cause attitude but suggesting that he deserves a call up to the seleção like a lot of people in Brazil have been doing, is a bit of a stretch if you ask me. 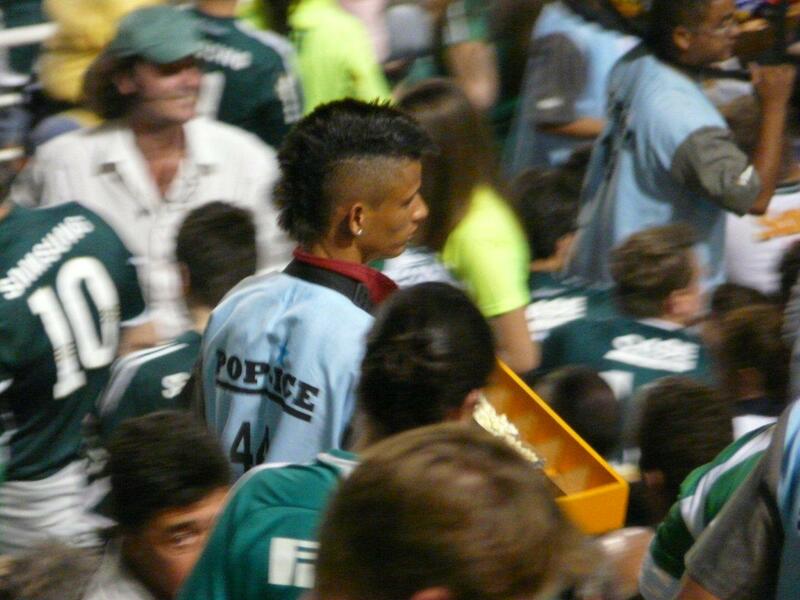 I really don’t think he is the solution to any team’s centre forward problems: Palmeiras, Flamengo or Brazil. 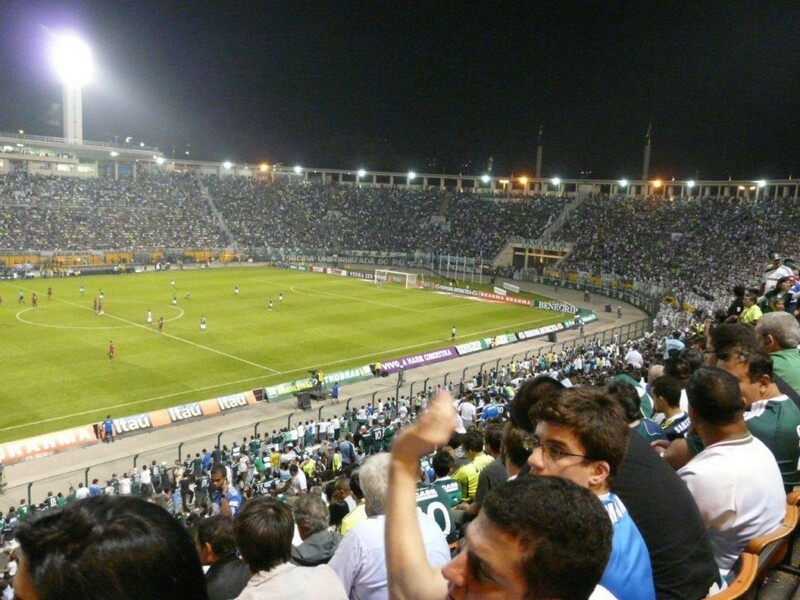 Palmeiras are a strong, well drilled if somewhat limited team. After years of financial mismanagement, they don’t have the same kind of funds that Corinthians and other teams have. But with Big Phil Scolari at the helm, they have a decent chance of a top four finish and Libertadores spot come December. After seeing them last night, I don’t think they have what it takes to win the title. They have just re-signed Henrique from Barcelona on a year-long loan deal and he will form an excellent centre-back partnership with Thiago Heleno. Marcos Assunção is lethal from dead ball situations and Kléber is a menace up front. Add to that the reliable Marcos in goal and you have the spine of the strong team. However, they do fall short in the midfield creativity department. They’ll be desperately hoping that Valdívia can regain his form and fitness. Finally, I have to admit my blog Vanderley Luxemburgo prediction was wrong. After his unsuccessful spells at Atlético Mineiro, Palmeiras and Santos, constant tinkering with team selection and playing Ronaldinho out of position, I had predicted him to get the chop at Flamengo. Although they still haven’t really hit the heights, they have only lost one game this year and are a very strong and solid team. They are playing better football than before and Luxemburgo seems to have his side set up just the way he wants it: a very competitive midfield that doesn’t give any team time or space to play football. If only they could find that centre forward they so badly need. Meanwhile, Corinthians march on and after just ten games, they have opened up a seven point gap at the top of the table. See the latest league table and results here. This entry was posted in Serie A, Transfer rumours and tagged Big Phil Scolari, Kléber, Luxemburgo, Marcos Assunção, Palmeiras, Ronaldinho, Valdivia by Brian Davidson. Bookmark the permalink. I agree that Ronaldinho needs to be playing more centrally. It puts him in a better positions to score and it will allow him to dictate the tempo of the game.